Paper-based forms – a thorn in the side of efficiency. Taking paper forms and moving them to a digital platform is essential in speeding up the collection and flow of information. When OfficeLabs look to start the digital transformation journey with an organisation, one of the key activities we begin with is to look for ways to improve responsiveness and the agility of the business. Taking paper forms and moving them to a digital platform is essential in speeding up the collection and flow of information. Productivity gains with electronic forms do not end with reduced collection and processing time. Once collected, the information becomes instantly part of the business’s workflows – driving processes, tasks and reporting. Forms can be completed using mobile devices, including tablets, mobile phones even smart watches! This drastically reduces the chance for human error – form elements such as drop-down lists, selection boxes and calculated values all prevent the wrong information being collected. Strict rules can easily be woven into the forms preventing the user from making their own changes to the form – a common practice with paper forms! 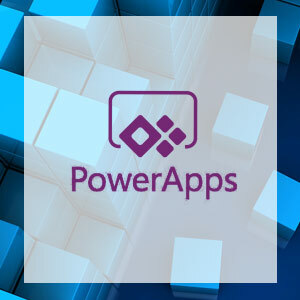 PowerApps is a tremendously powerful platform on which to create forms – with a click (or tap) business users can start from a template that builds the basic form in seconds – from there, layers of intelligence are overlaid as needed. Automatically calculated fields, auto completed fields and workflow actions are added until a smart form that can be used on any web enabled device develops. OfficeLabs take your existing and complex forms then evolve them into lean, intelligent data collection tools that are used to accumulate field and service data that is fed into the business’s core repository ready for immediate action. Examples of where OfficeLabs have improved upon paper forms by using PowerApps include the ability to capture images which are then included in the form, identified with time, date, geolocation and description – making use of the smart device features. A paper based form can’t take video, audio recording or photographs! A form built with PowerApps can be completed by both internal staff and external partners or suppliers – there are no boundaries for making the form available for people to complete. Another example is a new starter onboarding form – when a new member of staff joins it is necessary to involve different departments to ensure that the new starter receives an account, hardware, software, a physical location, allocated a desk and receives the appropriate training. Before joining the HR manager can complete an onboarding form that sends actions to each relevant department that is involved in delivering the items needed by the new starter and each department can respond when the action is complete ensuring that the new member of staff is engaged, made to feel welcome and can be productive in the least amount of time. Reports from the new starter form data would show if there are any issues in the deployment of necessary items and improvements can be identified. 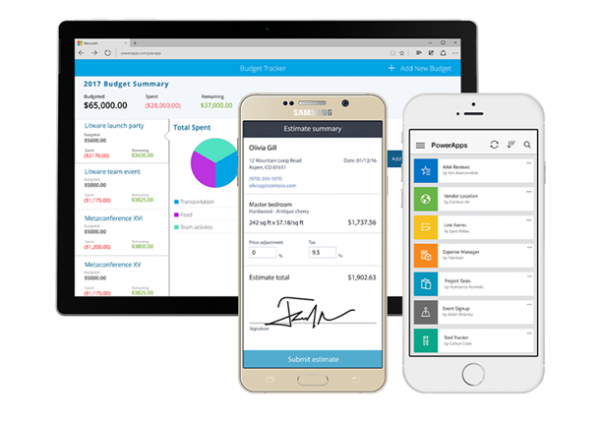 These are just some of the benefits Microsoft PowerApps can offer your company. When you book an appointment with an OfficeLabs consultant, they will talk to you in depth about your business needs, and how best to utilise PowerApps. Remember, PowerApps is just one tool in the Office 365 suite — OfficeLabs will ensure you get the most out of each application. Making sure your business runs as smoothly and efficiently as possible is why OfficeLabs has been chosen by both FTSE 250 companies and huge public sector bodies, and our no-jargon approach will let you talk to us with confidence about your requirements.